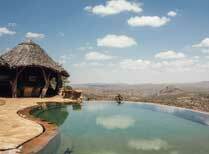 Borana is a luxury, family-owned lodge in the hills above Lewa. 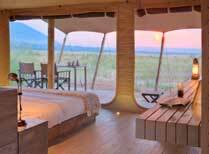 Desert Rose is a small lodge accommodating up to 12 guests in the far north of Kenya at the southern end of Lake Turkana. 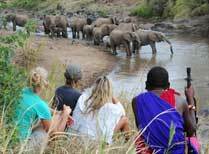 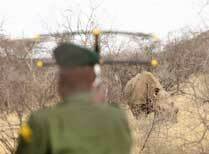 Elephant Watch Camp is a small, unfenced, eco-friendly camp in the Samburu, home to Save the Elephants project. 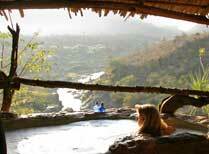 Elsa's Kopje is located in Meru National Park, on the site of George Adamson's original campsite. 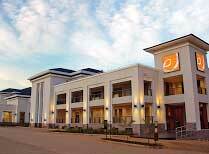 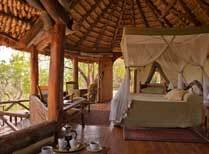 A beautiful luxury lodge. 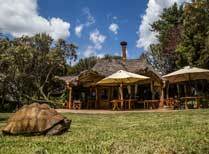 An excellent and pioneering community-run lodge north of Lewa Wildlife Conservancy. 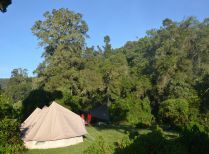 The starbeds offer a unique experience in wild surroundings, sleep under the stars in a beautiful location. 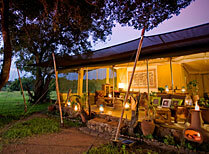 An upmarket tented camp in the heart of the Loisaba private wildlife conservancy. 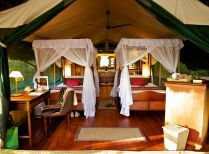 A traditional bush camp in the game-rich Ol Pejeta Conservancy, with excellent environmental and community responsibiity. 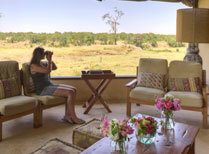 Porini Rhino Camp located in the Ol Pejeta Wildlife Conservancy is a small camp offering the chance to view the Big Five. 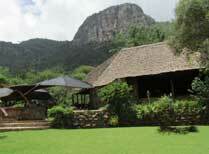 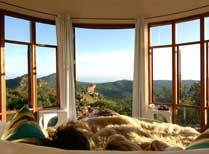 Small luxury lodge in a remote corner of Laikipia with gorgeous views. 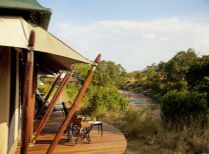 A comfortable tented camp enjoying a riverside location in the Samburu National Reserve. 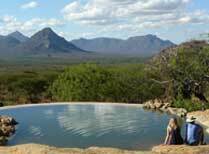 At the edge of the Mathews Ranges in northern Laikipia, a wonderful luxury tented camp. 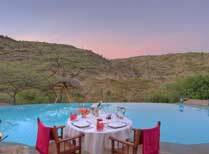 A stylish lodge on tribal lands just north of Samburu National Reserve in a stunning setting. 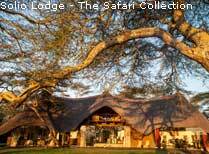 Solio Lodge is a modern luxury lodge which offers wonderful game viewing and spacious, secluded accommodation. 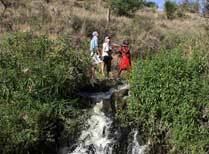 A walking and camping safari in the Laikipia region. 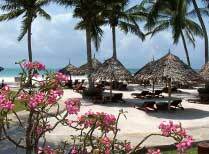 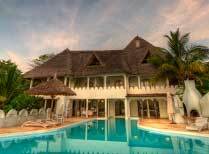 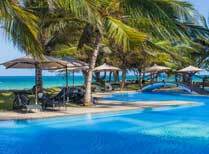 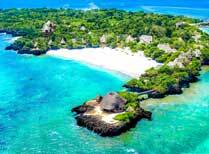 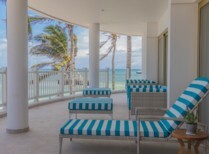 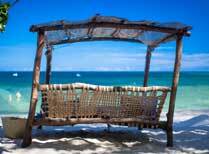 Luxury island retreat with spacious cottages, fine foods and a large swimming pool. 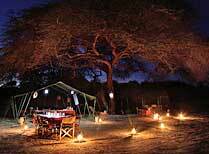 An excellent tented safari camp in Amboseli with good links with the local Maasai community. 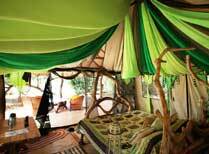 A superb tented camp with excellent environmental and community credentials. 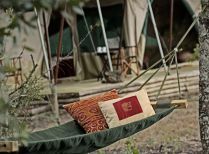 A high quality tented camp evoking the style and elegance of a safari in the 1920s combined with modern day comforts. 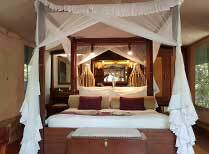 Campi ya Kanzi has excellent responsible tourism credentials and set in a beautiful remote area overlooking Kilimanjaro. 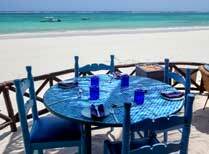 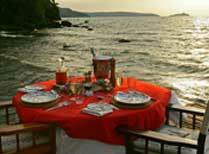 A small, luxury tented camp with excellent service and guides. 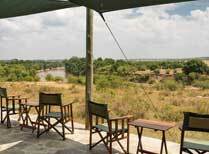 A lovely tented camp situated in the middle of the very best game-viewing areas. 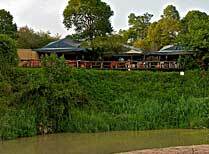 Classic luxury tented camp on the Mara River, well-known as the base for filming Big Cat Diary. 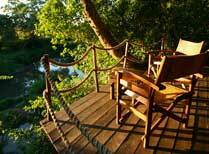 A beautiful eco-friendly luxury camp on the banks of the Mara River. 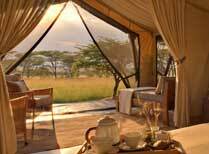 Adventure camping is an affordable way to see the Masai Mara, good guides complete the experience. 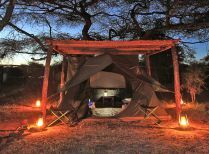 Adventure camping with great guides means you get a high quality safari experience for a very good price. 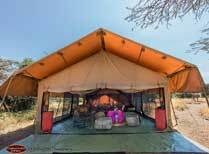 Our mobile camping gives you simple accommodation on a budget, and the flexibility to move locations easily with your own private camp. 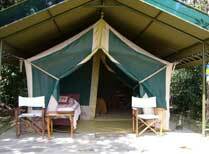 A small luxury tented camp with just 6 tents in the Olare Motorogi Conservancy of northern Masai Mara. 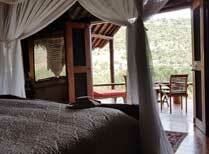 Very comfortable and friendly small tented camp in Mara North Conservancy. 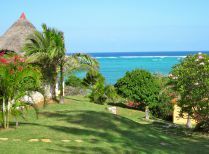 Good links to the community. 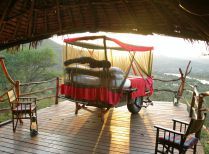 Kicheche Valley Camp is a luxury bush camp in a game-rich area north of the Masai Mara National Reserve. 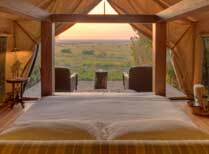 Large luxury tented camp in the north-west Masai Mara with views of savanna and forest. 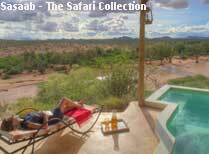 Safari Lodge in Tsavo West with views of Kilimanjaro, perfectly sited for game viewing in the national park. 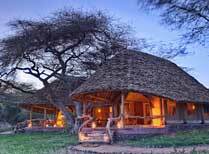 Little Governors Camp is situated at the heart of one of the most game rich areas of the Masai Mara National Reserve. 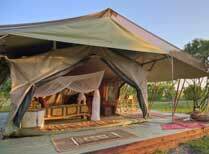 Mara Intrepids Camp is a tented camp enjoying a prime location and great children's activities too. 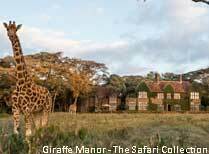 Mara Plains Camp offers day and night game drives in a wildlife rich area with comparatively few other visitors. 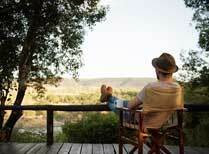 A 9-suite camp in a private conservancy with a relaxed atmopshere, offering game drives, walks and family safaris. 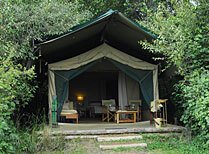 Naibor Camp in the Masai Mara Game Reserve has uniquely styled large tented rooms and offers luxury bush living. 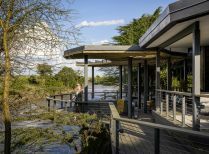 Ngare Serian is a small camp with tents on the banks of the Mara River, offering superb game viewing and luxurious accommodation in an exclusive setting. 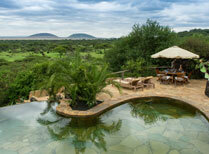 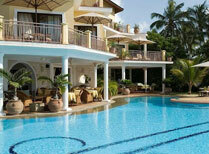 Ol Donyo Lodge is in the Chyulu Hills between Amboseli and Tsavo National Parks in southern Kenya. 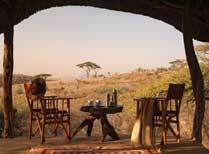 A luxury camp on a rocky outcrop in the northern Mara. 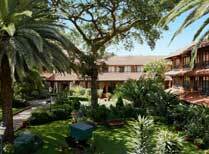 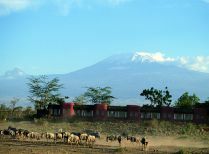 A centrally located lodge in the heart of Amboseli National Park with stunning views of Mt Kilimanjaro. 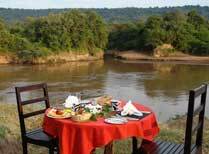 Small contemporary luxury camp located on the banks of the magnificent Mara River. 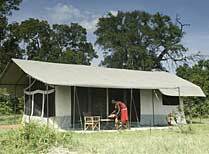 An authentic mobile camp in the award winning Ol Kinyei conservancy. 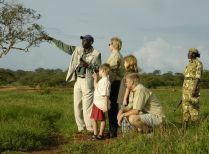 A luxury tented camp in private conservancy with great links to the local community and responsible tourism. 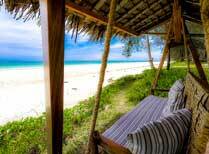 Secluded, exclusive tented camp on the shores of the Talek River. 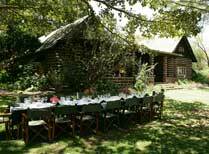 Small camp with a homely feel in a private conservancy rich in wildlife. 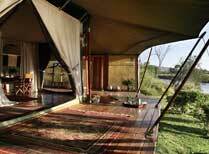 Small, luxury tented lodge on Mara River in a private conservancy. 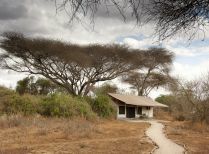 Sala's Camp is located at the southern end of the Masai Mara, in a great position for the wildebeest migration routes. 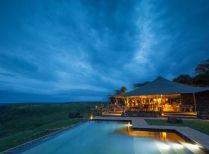 A high-end luxury camp overlooking Sand River in a secluded corner of the Masai Mara. 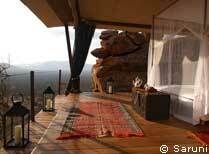 Saruni Wild is a deluxe tented camp 10kms from the main lodge, offering a true wilderness experience. 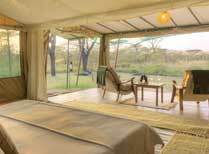 The camp is set under shady trees in Tsavo East and overlooks a waterhole which often attracts lots of elephants and other wildlife. 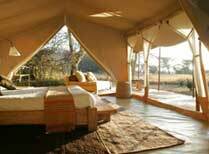 15-tent camp run in conjunction with 26 local Maasai families. 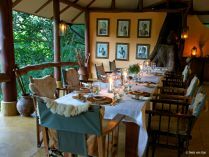 Serian Camp is an intimate tradtional bush camp set in a private Mara conservancy, offering game drives, guided bush walks and hot air balloon rides. 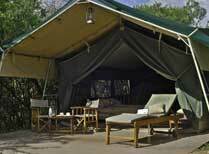 Luxury tented camp in Amboseli, offering excellent game viewing and great views of Kilimanjaro. 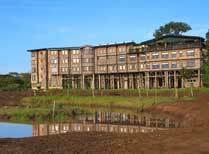 Chui Lodge is set in a private wildlife sanctuary which is home to a great range of wildlife near Lake Naivasha. 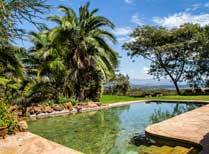 Friendly colonial house near Lake Naivasha with a huge range of activities. 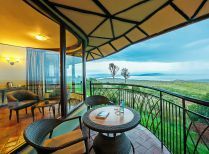 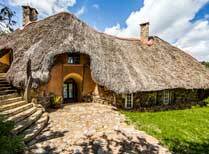 Loldia House is on a ranch in the north western part of Lake Naivasha in a tranquil Rift Valley setting. 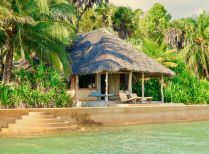 Mfangano Island Camp is a peaceful getaway on Lake Victoria consisting of just 9 cottages, all set near the water's edge.